Because of their properties, essential oils make part of a natural, safe and cheap therapy for many health issues. These oils have antidepressant, stimulating, detoxifying, antibacterial, antiviral and calming properties which is why so many today use them. Our guest blogger Sania is a writer for The Smart Women Blog. 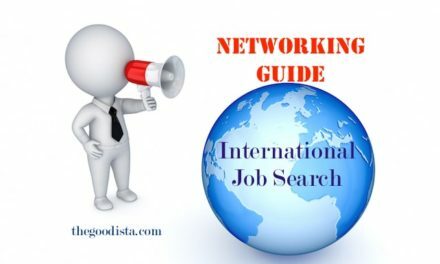 Her article here on thegoodista.com is a perfect way to show how natural health aids expands the mind and enhances your inner glow. Try these oils to support your healthy lifestyle too and let us know what you thought of Sania’s article. When it comes to beauty regimens, one can easily find a plethora of them over the internet, in beauty salons and our grandma’s advice! But what I love the most among all these excellent tools of beauty enhancement are essential oils. I wondered why I was so obsessed with essential oils, and I came up with so many reasons that I found it difficult to cram all of them into one post for you guys. Anyway, without further adieu let’s delve deeper into the magical land of essential oils. I’m going to enlist seven of my favorite essential oils and how they can help you with maintaining your health and beauty. Oh, how the tiny bottle of this elixir has saved my life (figuratively) and my face (LITERALLY) for my entire youth! For ages, this oil has been used by aboriginals of Australia to cute skin diseases and to make bandages; sound fascinating, right? That’s nothing; researchers suggest that this oil is anti-fungal, anti-bacterial, antiseptic, anti-parasitic, anti-microbial and anti-viral. You cannot find all these properties in any other natural oil. Ran out of your mouthwash? Try diluted tea-tree oil. You can thank me later. Have you ever heard of this one before? Well if you do not remember, it can sure as hell help you make your memory better! Researchers show that this oil alone can increase the concentration and focus levels in students who aspire to be the next Einstein. Rosemary used along with thyme is a favorite flavor additive used in cooking, and a few drops of this sweetly fragrant oil would freshen up your bath exponentially. This oil is especially beneficial for the heart, brain, and liver. Add it in your shampoo, and you should have a luscious, thick mane of hair in no time. This oil is one of the most potent smelling oils with the most incredible healthy properties. Those with digestive issues can turn to this oil to cure their indigestion problems, and it helps with bloating as well. This oil has the fantastic quality of triggering your brain’s satiety center which means that smelling this oil can lead you to believe that you have had your fill and you’re not hungry; doesn’t get better, does it? It can also be used as toothpaste due to its anti-bacterial properties, and it heals the gums. Another strong smelling oil that can help with your nasal problems dramatically is the eucalyptus oil! Whether it is your sinus that’s clogged or you have severe respiratory allergies, this oil comes to your rescue. It works by thinning the mucus and also acts as an expectorant. It is safe to derive that this oil is known for its antiseptic properties which makes it a perfect anti-bacterial cleaning product for your home. Almost all the essential oils have the property of curing aches but this oil mixed with any other massage oil or product can alleviate the pain and stress in no time. When I became obsessed with essential oils, I didn’t exactly know about this one. Extracted from trees found in the middle-eastern and African countries this oil has potent anti-inflammatory properties. It is known to cure digestive issues, and it also helps clear up the skin. Further researches have shown that it can also help with healing cancer. A raging problem for women these days is the hormonal imbalance, and this oil can help women balance their hormonal levels significantly. It also helps with asthma. Citrus scents are the derivatives of certain fruits such as lime, tangerine, grapefruit, lemon, and orange. These oils are primarily known as antiseptic and astringents. They stimulate the immune system of a person and help fight diseases. Just like lemon, this oil also possesses cleaning properties and can be uplifting for one’s mood. You can also use it as a detox, just add a drop of it in a glass of water and drink a maximum of three glasses of this detox. Lemon oil can help with increasing the production of white blood cells. I saved this one for the last because it smells so pleasant. Th scent of this oil is known for its calming and relaxing effect on the body. It can also help insomniacs with their sleep disorder. After a super stressful day, this oil can help you alleviate your stress very efficiently. It’s the oil that is used most in spas because of the luxurious feels this oil brings. It is perfect for the skin, and it also helps fix the problem of dandruff. The health benefits of this oil are countless! If you want more information – read this comprehensive review of the scientific research into the benefits of lavender oil. Essential oils are a naturally harmless way of curing many health issues. Give a try, and you will be addicted to these oils. 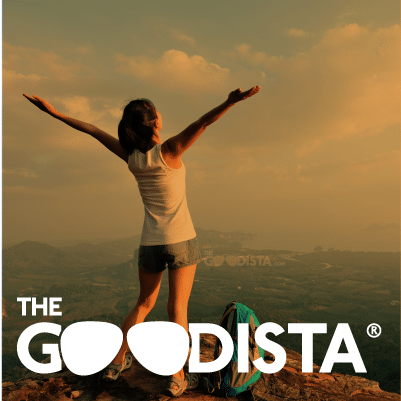 The GOODista team are grateful to have guest bloggers like Sania – who add to our overall vision to share with you how a healthy lifestyle makes you feel, be and do good. We believe that lifestyle change comes from a series of everyday choices. To add natural oils to my arsenal of healthy tools is certainly something that made me tick. I am sure they will for you too. If you like articles about lifestyle changes you can do every day and working (far) away – feel free to join our mailing list.